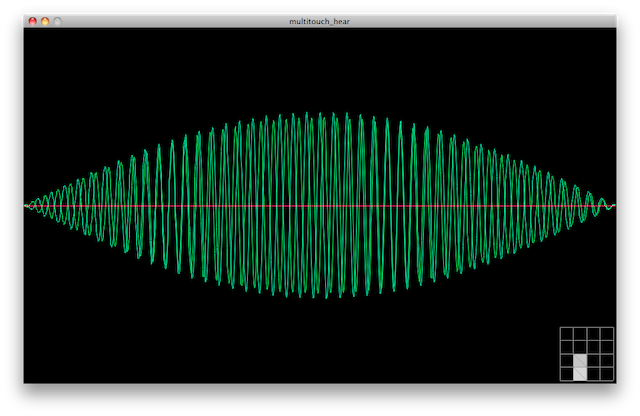 This week, I turned my multitouch trackpad into a simple synthesizer. I used Processing with the beads library for dynamic sound generation. Each touchpad controls the gain for one of the sixteen sine wave tone generators. 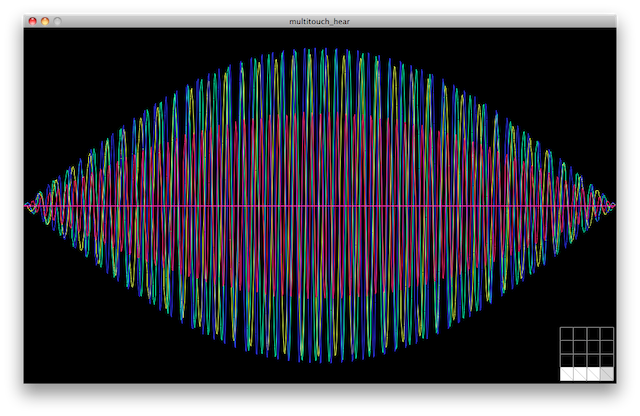 The tones are also visualized in a set of overlapping sine waves. For board files and firmware, click here. All source files are licensed under a Creative Commons Attribution-NonCommercial 3.0 Unported License.